Cheesecake Story is, like it’s name, all about cheesecake. It’s concentrating more on being unique, and concentrating on the flavor itself. I noticed that there are a lot of desserts right now that just concentrate on being sweet. I, on the other hand, would like to let people taste different levels of sweetness. The bestsellers are Banana Gone Nuts and Albuquerque, most probably because the blend of flavors is sort of like a match made in heaven. Cheesecake is sweet, and I pair it with dark chocolate, so it’s not as sweet as others. Banana Gone Nuts contains walnuts, caramel, and bananas. Albuquerque just contains almonds, so it’s a good mash of flavors, because the almond gives the crunch to the frozen cheesecake. In some way, it sort of becomes ice cream because it melts in your mouth. You know one of those points in your life where you look down at yourself and you’re just looking for your purpose? I was at that point. I thought to myself, “Oh my gosh, I’m not going anywhere.” Then suddenly, it just came to me. 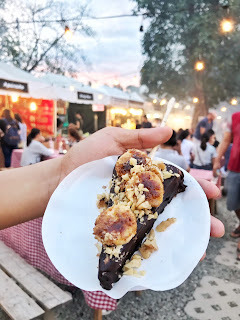 I saw a video of Sugbo Mercado place a year ago, and I’ve always wanted to try it out, but I wasn’t given any opportunity back then since there were a lot of issues. This – now – is the right time. When I came in Sugbo Mercado, they were very encouraging to push me to enter The Market as well. It hasn’t been smooth sailing, but I can say that it was meant to happen, because everything is already laid out. Sugbo Mercado is almost all about food, and foodies come here all the time. Sugbo Mercado concentrates on the uniqueness of food. It has a good market, where I can serve my not-so-ordinary cheesecakes. People usually take photos of their food before eating them, which makes this market more advantageous for my brand’s marketing. I actually just hit a month recently here in Sugbo Mercado. I’ve gotten a lot of good feedback from people which is what’s important to me right now. Business doesn’t boom as soon as you start; it often has slow progress. Right now, it’s good enough. I haven’t thought much about the future since I’m concentrating on the now. To be honest, I tend to freak out when thinking about it so try to avoid it. What I do is I take it one day at a time. Sugbo Mercado is opening The Market soon, and they’ve offered me a stall there. I’m thinking about that now, whether I should go for it or not. It’s business, so there’s a lot of risks. 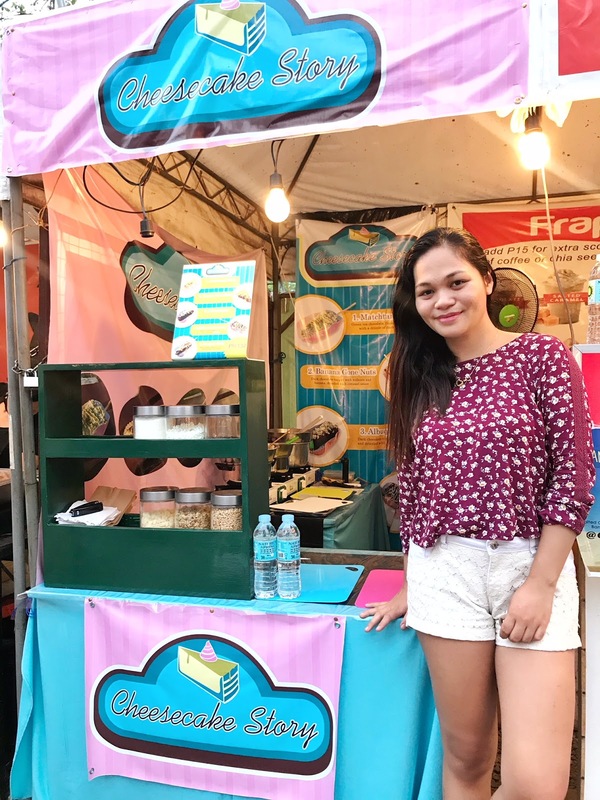 - Kristine Cruz, owner of Cheesecake Story; Our Foodtrepreneur of The Week. 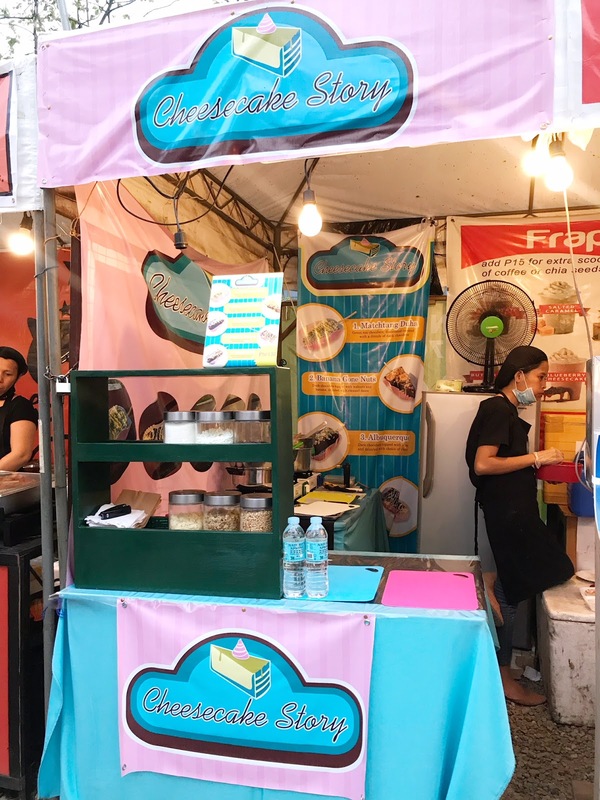 Visit Cheesecake Story at Sugbo Mercado, Garden Bloc of IT Park. We are open every Thursdays-Sundays 5pm-1am. See you there at #YOURweekendFoodmarket!